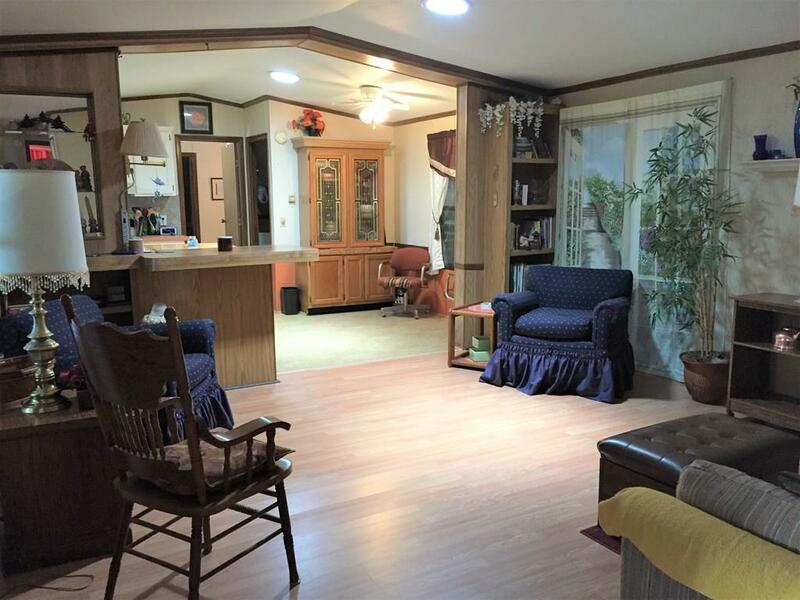 This charming two bedroom, 2 bathroom mobile home is located in a nice and quiet 55+ community. Open and airy living room that opens up to kitchen and dining, perfect for entertaining. Vaulted ceilings. Split bedrooms with nice walk-in closets. The main bathroom has a walk-in shower. Laundry room and additional storage right off the master suite. Bright and cheerful Texas room, perfect for relaxation. Enjoy the breeze on the nice east facing deck. One car garage that extends the full length of the mobile. Mature trees (red grapefruit, lime and orange) that provide shade. This home comes furnished and ready to move in. As per seller there was a new metal roof installed in 2012, the Water heater was replaced in 2014. Texas room, living room and bathroom flooring were updated in 2016 and the exterior of the home was repainted in 2019. Great price and in a wonderful neighborhood. Make an offer! !